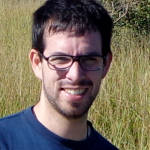 Diego is policy analyst on Sustainable Development Goals at the Catholic aid agency for England and Wales (CAFOD) and one of the co-founders of Carbon Market Watch, where he worked as policy officer before joining the CAFOD. At Carbon Market Watch, Diego conducted environmental scientific research and policy work as well as climate activism, working with local forest communities in Bolivia. He is driven by the goal to ensure real consideration of equity and justice of the Global South in decision-making in the Global North. Diego graduated from Brandenburg Technical University in Germany and Saitama University in Japan. He holds a first class MSc. in Environmental Management from the University of Auckland, New Zealand.